Hamsters are omnivores and will eat a wide variety of food in the wild. 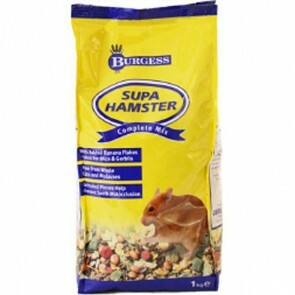 The hamster food will provide them with all the minerals, vitamins and nutrients required to keep them fit & healthy. Hamsters will hoard their food and therefore fresh Fruit & Vegetables such as Carrots, Lettuce & Cabbage should be fed by hand to ensure that it is eaten and not hoarded away where it can rot. When you feed your hamster you should check to see if there is any food left, if so you should be able to tell if your hamster is selectively feeding and leaving certain seeds and grains behind each time. Feeding a little less food each meal should hopefully stop your hamster from selectively feeding from the mix. Vitamin supplements can be added to their diet once a week, as well as mineral blocks and chew treats. 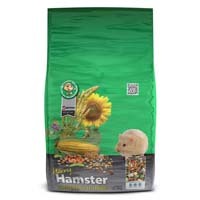 Hamster Food: 5 stars out of 5 based on 0 user reviews.